Discussion in 'Electric Instruments' started by Russ73, Aug 7, 2018. I have Cores S2s and an SE and I have to say the look and playability of the Standard 22s is it for me, I got the 2 Standards and the Mira all for under a Grand and they play as well as the Cores for a fraction of the price, plus I like the stripped down gothic look of the standards, couldn't be happier....! dogrocketp, g.wizz, markd21 and 1 other person like this. Heck yeah! The S2 Standards are great guitars and stupid cheap on the used market. dogrocketp and markd21 like this. 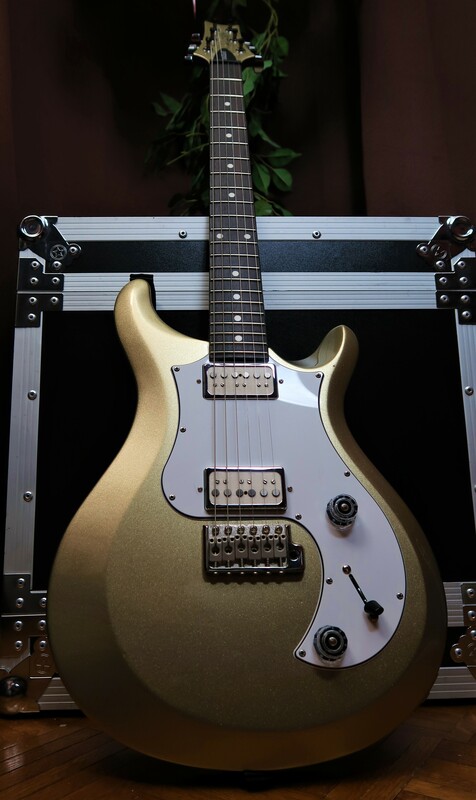 The Vela is just about the most interesting guitar you can buy right now from PRS outside Private Stock, IMO. Big Mard, Matty_B_1966, Boogie and 2 others like this. dogrocketp, Bill SAS 513, g.wizz and 5 others like this. I don’t normally choose opaque, but that blue with the white pickguard is badazz. Big Mard and Bill SAS 513 like this. I agree! I have 3 PRS's and 2 of them are S2's (The other is a CE 24). Got the limited S2 studio in Frost Blue Metallic and was just delivered a S2 SC in Satin Charcoal last night. Love the sound and the playability of them. I like them more than my CE 24 honestly. I have an AP HBII Piezo and a Vela. I play the Vela a lot more. That Vela is "just right" for me. 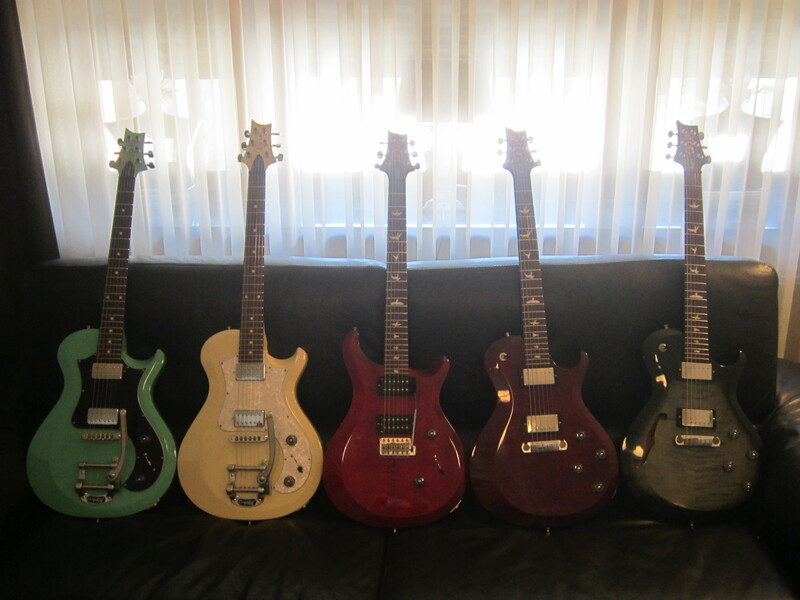 I played some PRS guitars at a shop a couple weeks ago, IIRC an ‘07 Singlecut, ‘12 P22, McCarty (‘08 maybe? 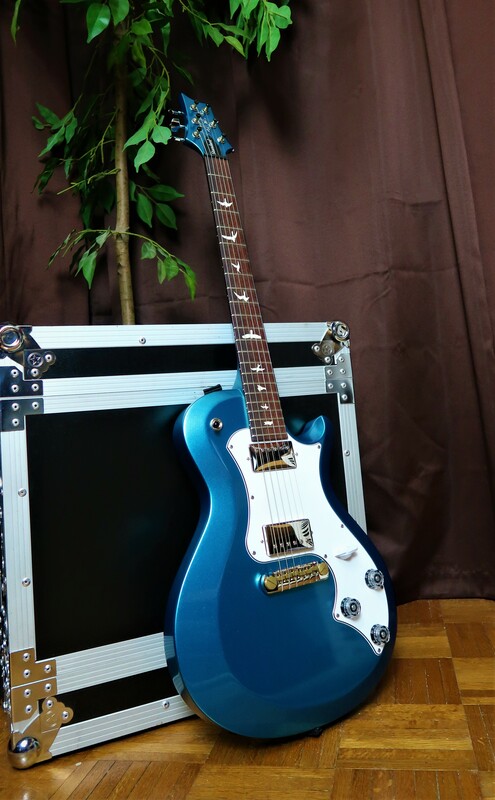 ), an SE 245 Standard, and a new S2 Studio in that mega cool Frost Blue Metallic color. The S2 was hands down the best sounding guitar of the bunch, and it played just as well as the others too. I think part of that had to do with the strings being fresher than a couple of the other guitars. But, to have an S2 go head to head with some core guitars and hold its own so well is a testament to how wonderful they are. It was all I could do to walk out of there without that Studio! My S2 Standards are among my favorite guitars. Each does its own thing, but when it comes to all around bang-for-the-buck, NOTHING beats the S2!! Big Mard, dogrocketp, Tim S and 5 others like this. I love my S2 Singlecut. I swapped the pickups for BK Rebel Yells for a bit more oomph. It plays like a dream and sounds great. I thought about saving up for a core model but I've decided not to bother. I don't like fancy tops anyway. And I've got my Bernie for backup which is another great guitar. There all beautiful but the gold standard with with Surf-90's takes my breath away - I bet the looks are only beaten by the sound? sergiodeblanc and markd21 like this. Yes, it sounds AMAZING. Between the gold Standard 22 and this EG3 I have all my single coil tones covered!!! dogrocketp, grausch and sergiodeblanc like this. dogrocketp, Bill SAS 513, Whitecat and 5 others like this. Everything about it is spot on. The only change it's had in nearly a year of ownership now is the strap buttons. 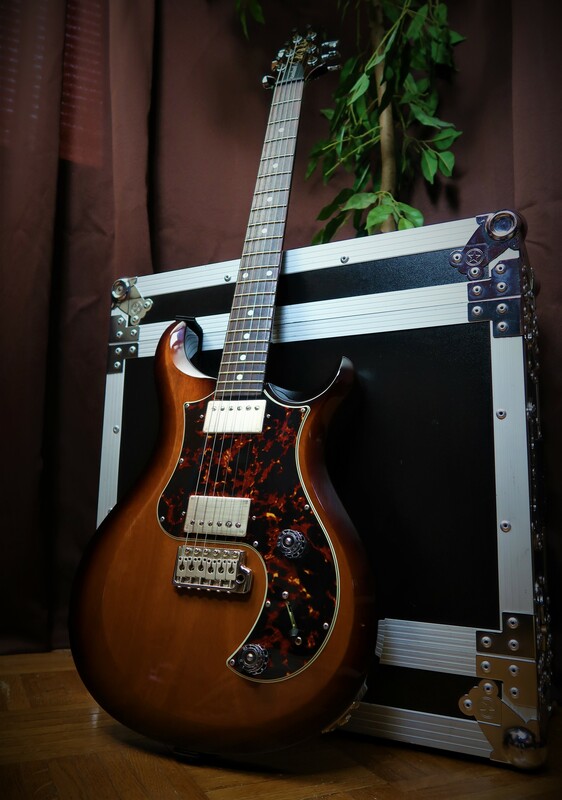 Everyone seems to be in a rush with the S2s to bin the factory pickups but at least in this case, once I found the sweet spot for them they're pretty excellent at what they do. dogrocketp, andy474x, Whitecat and 3 others like this. I hate all you guys! JJJ, dogrocketp, Tim S and 7 others like this. I still want a Starla. Big Mard, dogrocketp and Iceman101 like this. Me too! I have zero interest in Bigsby bridges, but those guitars are so cool. 11top, JJJ, dogrocketp and 1 other person like this. You do deserve a Starla.